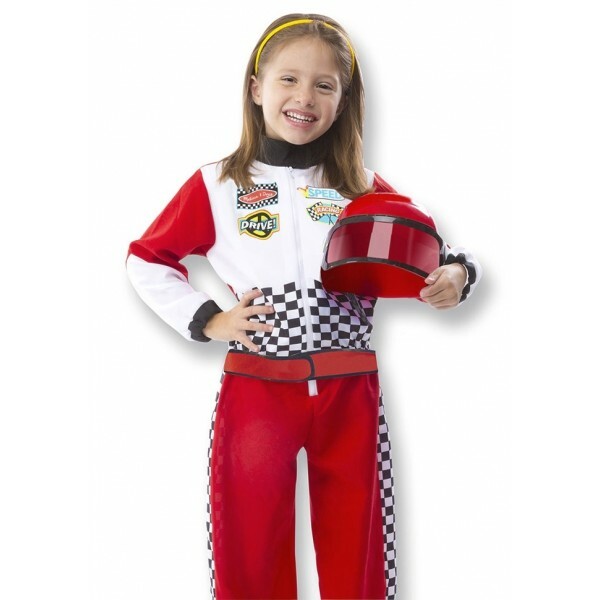 Get ready to take the lead with this race car driver costume set from Melissa and Doug! 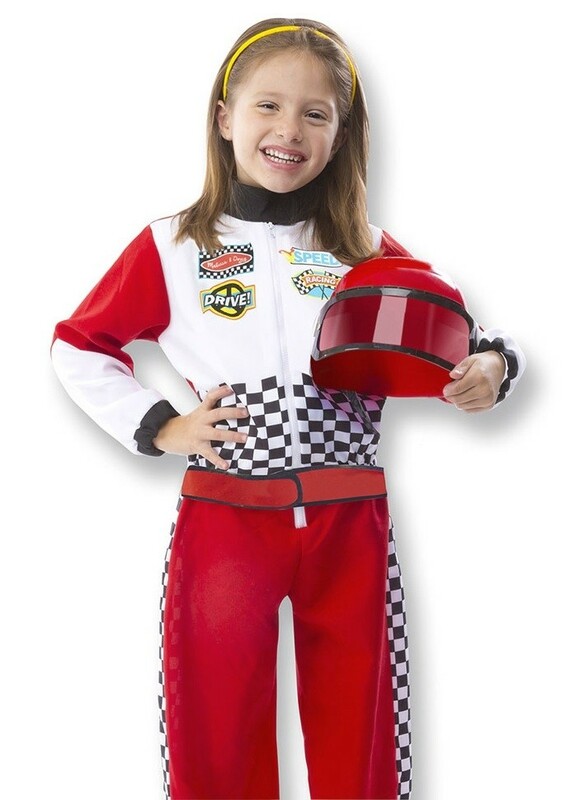 This set comes with a zip-up jumpsuit styled to look like a driver's uniform, a soft "steering wheel" for when it's time to drive, and a helmet with an adjustable face mask — safety first, after all. She'll give the green light to hours of imaginative play with this set!